Server less is a Great Concept. In our previously published articles, we discussed about IBM OpenWhisk and also shown how to install OpenWhisk on Ubuntu server. As it is a Free Software framework, we have no fear of vendor lock-in if we carefully use the PHP functions only. 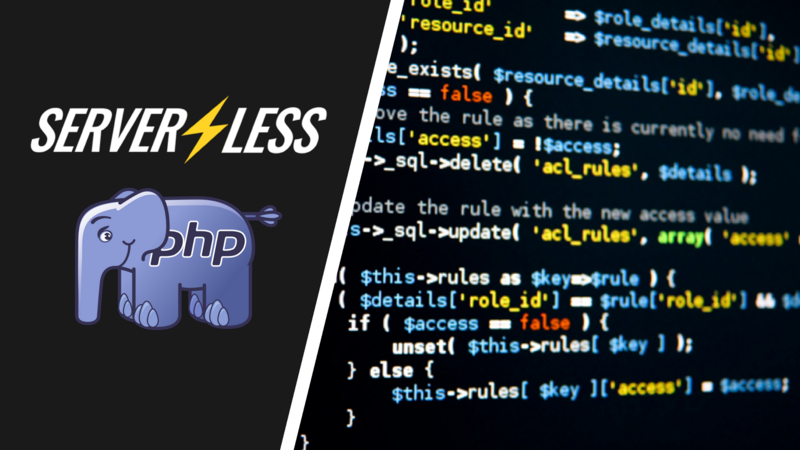 Here is Introduction to Serverless With PHP For IBM Cloud OpenWhisk. Fortunately or unfortunately, you may need to setup your computer with IBM Bluemix Tools. These setups on own server is single most disgusting work when compared with IaaS/Cloud Server. Even if not needed for OpenWhisk, you’ll need them some other tool. With OpenWhisk we can extract computing power from our lesser used server from popular one apart from using it as service of IBM or others. So, your two extra few GB RAM servers actually not going in waste. OpenWhisk has Actions, which is PHP Functions. Sequences is to connect and chain multiple actions. Triggers are for organizing event sources. Rules connect Triggers and Actions. Packages allows to bundle a set of actions. You may create a Hello Dolly Plugin for WordPress using OpenWhisK to test. I am at Hello Dolly stage around OpenWhisk. This Article Has Been Shared 2493 Times! Heroku PaaS Introduces New Infrastructure With Some Change in Their Basic Uni Named Dynos and Pricing. The Free Usage Tier Remains Unchanged. There is can be no difference from one point to many differences. Here is About the Difference Between Cloud Computing IaaS and VPS Hosting. Cite this article as: Abhishek Ghosh, "Introduction to Serverless With PHP (IBM Cloud OpenWhisk)," in The Customize Windows, May 19, 2018, April 25, 2019, https://thecustomizewindows.com/2018/05/introduction-to-serverless-with-php-ibm-cloud-openwhisk/.